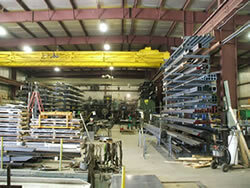 Dutchess Metal Supply Corp, located in Poughkeepsie, NY, is the area's leading distributor and service center of all types of metal. 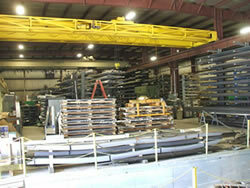 We specialize in carbon steel, stainless steel, aluminum, bronze, brass, as well as a variety of other hard to find metals. We can provide these materials in a variety of shapes including sheet, plate, rod, bar, beam, channel, tube and pipe to name a few. If its metal we sell it. We service Dutchess County, Ulster County, Westchester County, Albany County and surrounding areas, and we have regularly scheduled deliveries to these areas. 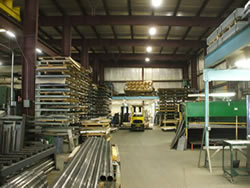 Our large facility allows us to maintain stock on many popular items in sheet, plate or structural. This enables us to provide you with same day service on items you need in a hurry. For those items that we may not stock, we rely on a number of major distributors, many who offer next day delivery service.